CES 2018 was meant to feature Huawei's big break into the US, but now it seems that the Mate 10 Pro will not be offered by AT&T or Verizon. One would expect rival carrier T-Mobile to exploit this by offering the flagship itself, but in fact T-Mobile has its own reasons not to trust Hauwei. Here's why. AT&T and Verizon will not carry Huawei flagship phones due to "political pressure"
Huawei's carrier trouble with AT&T and Verizon stem from pressure from the US government, which suspects Huawei of spying for the Chinese government. While Huawei has strongly denied this, US security services seem convinced that the Chinese company represents an espionage threat, and AT&T and Verizon have not made any comments about Huawei at all. Instead, it appears that the carriers have quietly dropped deals with the Chinese company, and will not be offering the Huawei Mate 10 Pro or Mate 10 as was expected. Huawei may not be spying, but having them become the biggest global mobile manufacturer would be prestigious for China. Without a US carrier to promote its phones, Huawei can hardly hope to crack the American market and fulfil its ambitions of becoming the biggest smartphone manufacturer in the world. With AT&T and Verizon out of the picture, T-Mobile could stand to gain a lot of customers by stepping in to offer the Huawei flagships themselves. But despite the profit to be made, don't expect T-Mobile to bring you the Mate 10 Pro. T-Mobile has had its own issues with Huawei in the past. One based on corporate rather than international espionage. T-Mobile claimed that Huawei stole trade secrets when its employees took pictures of a T-Mobile robot called "Tappy". The mobile carrier took the Chinese company to court for $500 million, claiming the lost profits and revenue it could have gained by licensing Tappy. T-Mobile won the suit, kind of. The jury said that Huawei's actions were not "willful and malicious", and the verdict was a $4.8 million court ruling in T-Mobile's favor, just a fraction of what the carrier sought. That's not the only chapter in the contentious history of T-Mobile and Huawei. In 2016, Huawei filed a lawsuit against T-Mobile alleging that T-Mobile was using several 4G patents from the Chinese company, and refusing to make a license deal for them. While revenge may have been a motivating factor, it's worth noting that in the same period, Huawei started aggressively defending its patents, clashing in court with Samsung and Nokia. So while T-Mobile could stand to profit from being the only US carrier to defy political pressure and offer the Huawei Mate 10 Pro to US customers, it's highly unlikely that this will be enough to overcome the history of conflict and lack of trust between the US carrier and the Chinese smartphone giant. 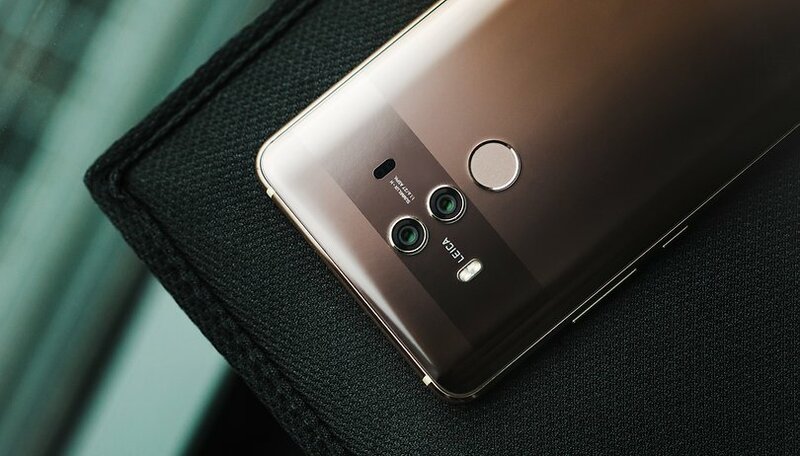 With the situation as it stands, there's the possibility that another major competitor, Sprint, could step as a carrier for Huawei flagships, but given all the difficulty so far, it's likely that US consumers will only be able to get the Mate 10 Pro unlocked, paying up front. The lure of profit can make strange bedfellows. Are you still hoping that T-Mobile could carry the Mate 10 Pro, despite this bad blood? Or would you be satisfied with buying an unlocked one? I think US government would not allow Huawei and other Chinese phone makers to enter US market simply because Chinese flagmanhips like Huawei and One plus would dominate in US and ruine iPhones, LG and Samsung. Chinese lattest phone models have much better tech characteristics with lower price, which puts them on top. Wouldn't buy a Huawei phone. The Nexus 6P was a disaster if you didn't buy from Google. Huawei had/has horrible support.